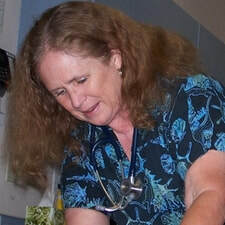 Dr. Karen Burrows opened Ventana Animal Hospital on February 17th, 1995. Since that time, the practice has grown to be well loved in the Ventana, Sabino Canyon, and the Foothills area of Tucson. Treating each pet and their owners like family, Dr. Burrows has forged strong relationships within the community. Our mission is to establish and maintain strong relationships with our clients and their four-legged family members through pet health education. We always look forward to seeing out clients and their families. Univ. California Davis, Doctor of Veterinary Medicine, 2010.